HPB is now well established as an international forum for clinical, scientific and educational communication with an increased impact factor in 2017 of 3.290. It has risen in importance in the last few years to represent the major HPB journal in which the latest advances in our specialty are published. HPB aims to help its readers – surgeons, physicians, radiologists and basic scientists – to develop their knowledge and practice. HPB will be of interest to specialists involved in the management of hepatobiliary and pancreatic disease, however, will also inform those working in related fields. 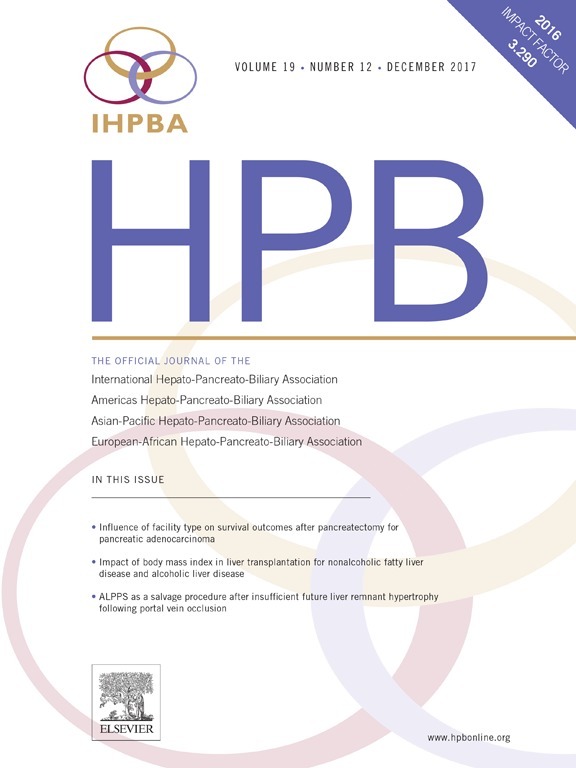 The different types of active E-AHPBA membership include receiving our Journal HPB. As part of your membership of E-AHPBA you are entitled to online access to HPB through Wiley Online Library. For receiving access please contact directly Ms. Sharon Brooker sbrooker@wiley.co.